We bring the escape room (and the fun!) TO YOU with our Mobile Escape Room adventures!! From tabletop escape games to tented escape adventures to fully immersive escape room adventures, wherever the party or event is, we'll be there to make it awesome!! Great for events for 10 to 10,000 people! Make your event unique, fun, and one guests will always remember! Fully Immersive Adventure - but we bring it to you! 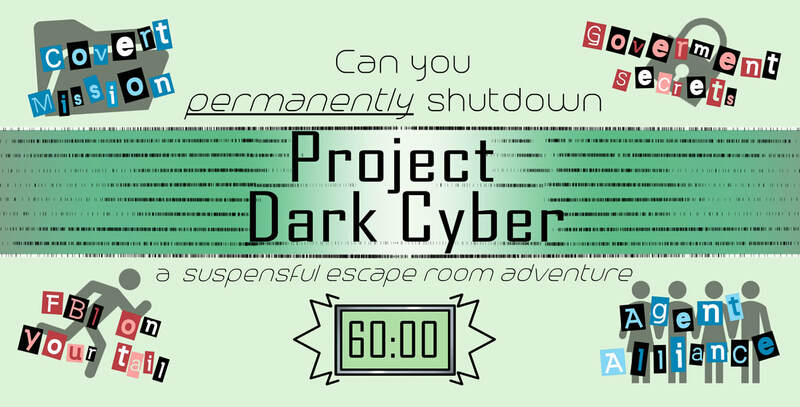 Project Dark Cyber - Mobile Escape Room Unit - 20 minute and 60 minute versions! The Mobile Escape Room Unit is a fully immersive adventure just like you would see at our physical location. The mobile unit is fully temperature controlled. Tented Escape Adventures are great for parties of any size. Fully customizable adventures are available. Tabletop Escape Games are great for parties of any size.